Acer has been busy at CES 2016. Earlier they announced the new Chromebook 11 and now they have announced the release of the Chromebase 24. This new all-in-one desktop will be the first Chromebase to be powered by Intel CoreTM processors and will sport an impressive 23.8″ Full HD display. For those of you who aren’t familiar with what a Chromebase is exactly, it is a desktop PC that runs on Chrome OS. We often associate Chrome OS with Chromebooks but there have been several Chromebase products in the market for some time now. This one from Acer however is certainly going to be a premium product. The new Chromebase 24 will support up to 8GB of DDR3L ram and will have 802.11ac Wi-Fi capability. It has a built in HD webcam and has four digital microphones for video calls and conferencing in clarity. The exact configuration and pricing combinations were not released in the Press Release but given that the current Chromebase DC is starting at $329 and is powered by a NVIDIA Tegra K1 processor, I suspect this new 24 will be a bit more but not overly so. LAS VEGAS (Jan 4, 2016) Acer today announced the world’s first Chromebase all-in-one desktop with Intel® CoreTM processors, the Chromebase 24, combining powerful performance with the simplicity and security of Chrome OS. The new Chromebase complements Acer’s industry-leading portfolio of Chrome OS products including Chromebooks, Chromeboxes, and Chromebases1. According to the latest data from Gartner, Acer Group is currently the world’s leading Chromebook brand with over 34 percent market share for the first three quarters of 2015. 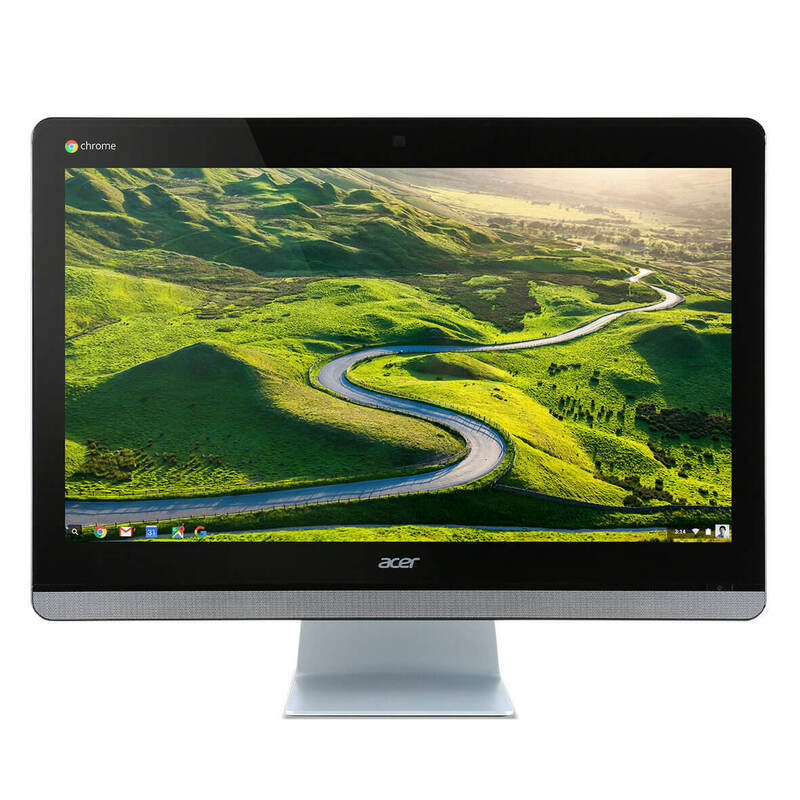 The Acer Chromebase 24 (CA24I) features the largest screen of all Chrome OS devices on the market, a 23.8-inch Full HD (1920 x 1080) display with IPS3 technology, reproducing consistent and accurate colors at up to 178-degree wide viewing angles. VESA mount support and 10-point multi-touch option allows for even more intuitive and convenient operation, making it an easy fit in any public space such as for use as digital signage or kiosk device. The Chromebase 24, based on Chrome OS, will receive automatic updates every six weeks to ensure it always has the latest security and software installed. All data whether stored on the Chromebase or in the cloud are encrypted and protected by its TPM (Trusted Platform Module) 1.2 chip, which securely generates and stores cryptographic keys. Each time Chrome OS boots up, Verified Boot checks the integrity and validity of system files to ensure they have not been tampered with.